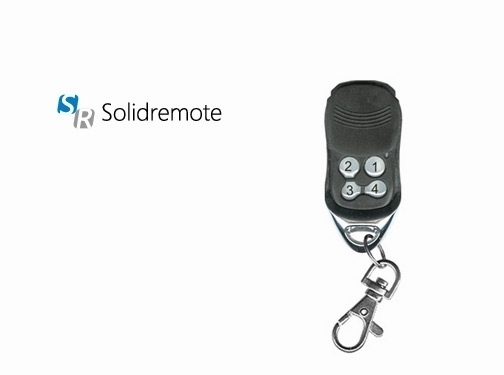 Solidremote has been dedicated to RF remote control field for over 10 years, now we are able to offer a complete RF remote control solution, including garage and gate compatible remote control, medium to long range remote control, transmitter & receiver module, remote receiver relay board and customized wireless products. Our product line covers two major divisions, one is DIY products for wholesalers, locksmiths and other parties directly service end customers, including clone remote and remote receiver relay board, the other is OEM products for factory manufacturers who source components, including remote control, receiver module. ODM services are also provided, you just provide the idea, and we can do early design to volume production professionally, please check out the following for details, or you can contact us. Our universal remote keyfob can copy most fixed code or learning code remote controls face to face in seconds, which provides a simple and easy solution in case customer needs replacement keyfobs. Our compatible remote control provides direct replacement of more and more popular major rolling code garage and gate remotes, while at a very low cost compared to original ones. Designed for universal medium range remote control applications. Our transmitter is highly configurable with frequency from 250MHz to 450MHz and encoding type from fixed code / learning code to high security rolling code. Designed for universal ultra long range remote control applications up to 1000 meters. Our transmitter with telescopic antenna is highly configurable with frequency from 250MHz to 450MHz and encoding type from fixed code / learning code to high security rolling code. Our remote control relay boards are wireless controlled relay boards or non-relay boards, which can be used to capture and output control signal from any equivalent ASK or OOK transmitter, such as Solidremote medium to long range transmitters. Chinese (Shenzhen) based company - established in 2001 - providing remote control solutions for automated garage doors. Website includes details of products provided, e-commerce facilities, delivery and returns information, terms and conditions, regularly updated blog, full company contact details.